Hi friends!! I am so happy to be here again on Crafting Chicks sharing a fun project with you! My name is Alicia and you can usually find me over Sew What Alicia. 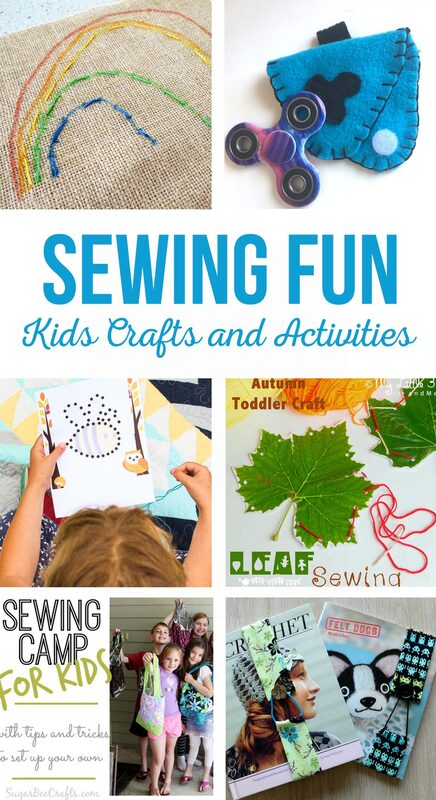 I get asked all the time about teaching kids to sew. When I think back to sewing as a kid the first step was definitely using shoelaces and wood blocks. I wanted to create something that was easy and safe for the kiddos to learn some basic hand sewing. 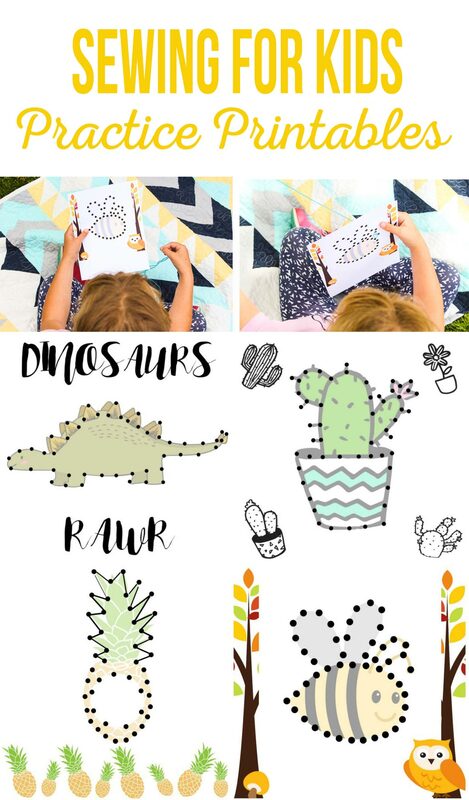 Here are some practice printables for teaching the kids to sew. 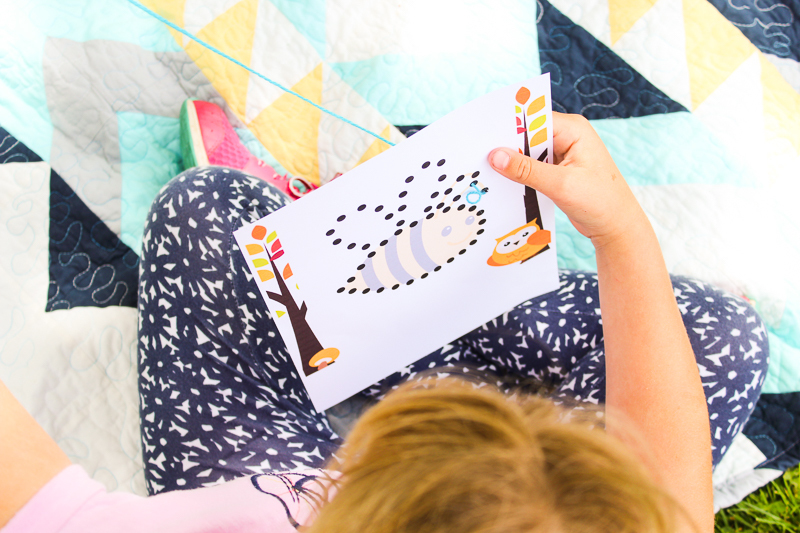 These sewing cards are such a great activity for the kiddos and newbie adults as well! These are a great activity for road trips, summer picnics, quiet afternoons, and just about a million other times! You can let the kids do as they wish with the cards or you can give them a small amount of instruction. You can find large holed plastic needles in the yarn section at the craft store. Then cut some strips of yarn. 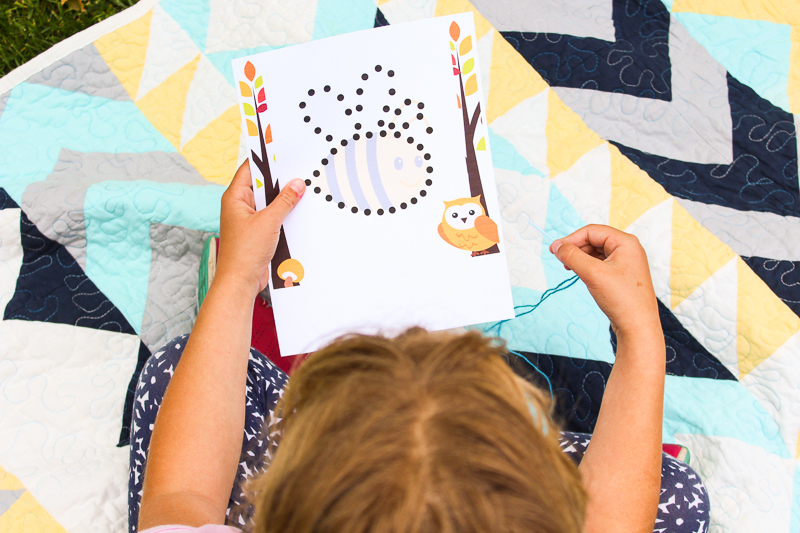 Use the needle or a hole punch to create holes on each of the pictured dots. If you want you can teach the kids about using a backstitch. Then let them play around with the different pictures. 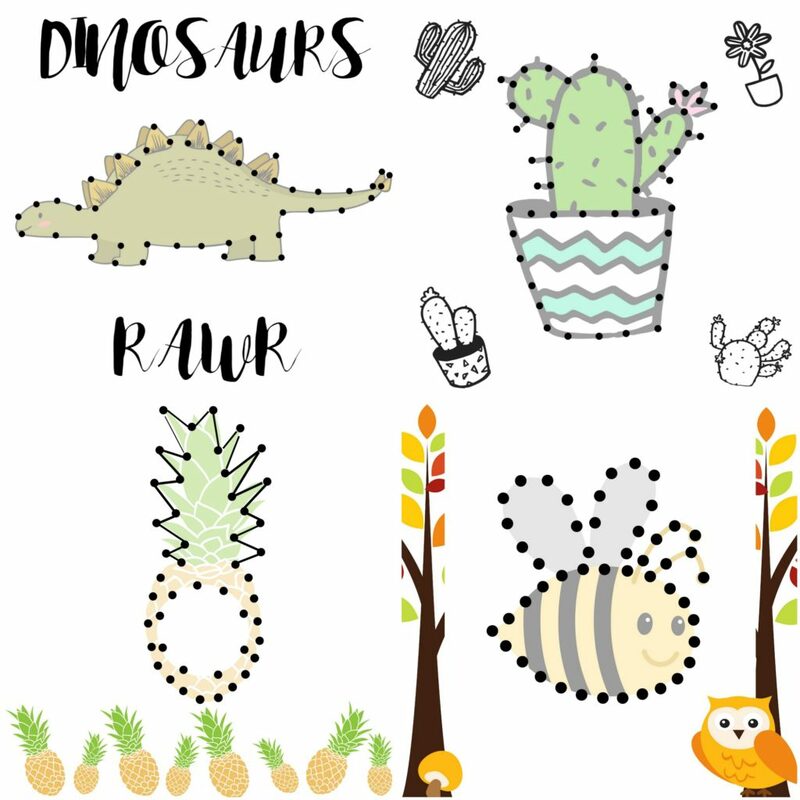 If they have mastered these cards and you think they are ready to move on to some more advanced sewing cards check out these fabric appliques with a cutting machine! Want some more fun Sewing ideas!